Not long after the announcement of the Air Jordan 6 White ’Infrared’ 2014 retro, we see a new colourway for this classic shoe appear which takes the famous colour accent and amplifies it. The Air Jordan 6 and infrared have long been an admired combination and it looks as if Jordan Brand are setting 2014 up to be a year of AJ 6’s. Here we have an interesting take on the usually subtle infrared accent, with a reversal of the design elements that creates this new make-up. The whole shoe is drenched in infrared and sees black accents throughout. The upper sees a full leather construction which lends well to the pop of the full upper colour application. It would of been interesting to see a ‘Carmine’ style version of this shoe, with infrared worked in instead of the red. 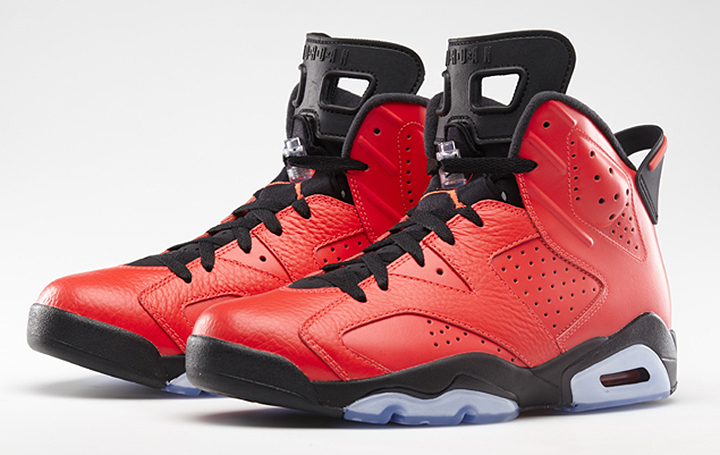 Fortunately the ‘Carmine’ retro is happening later this year so stay on the site for more details soon. Who knows, hopefully we might see a Sport Blue or Maroon reissue too. 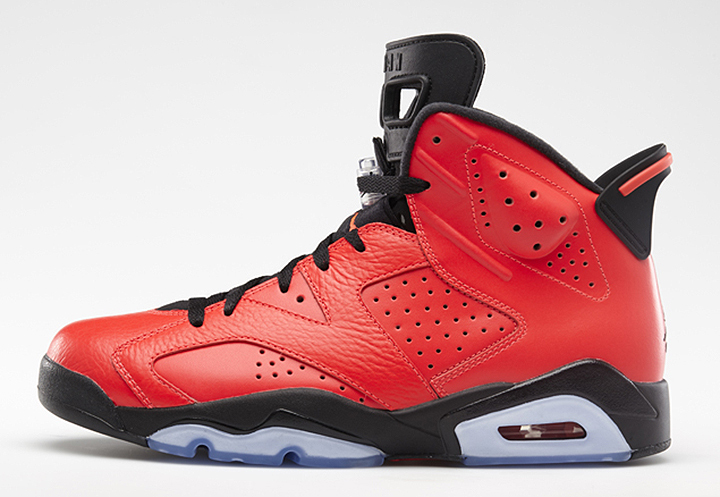 The Air Jordan 6 ‘Infrared 23’ will be available on 15 February from Nike.com.